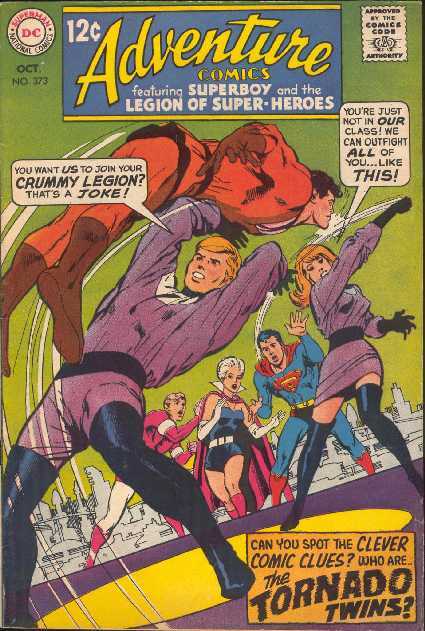 ADVENTURE COMICS NO.373 (October 1968) Cover by Neal Adams. 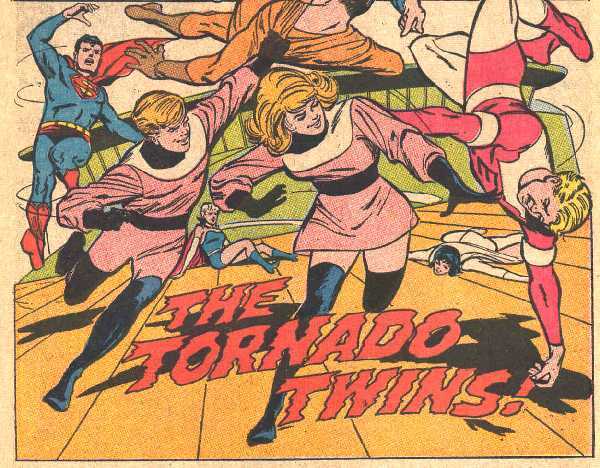 "The Tornado Twins" Part I" by Jim Shooter (Layouts) & Win Mortimer. 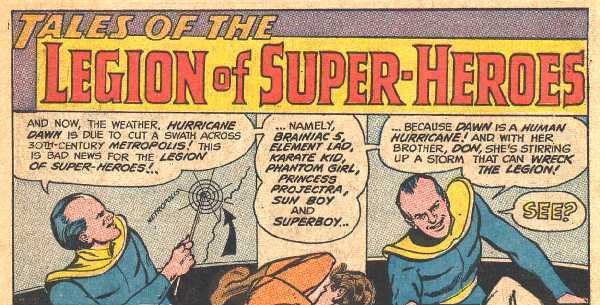 "The Fun-Loving Allens-Super-Feroes" Part II by Jim Shooter (Layouts) & Win Mortimer.